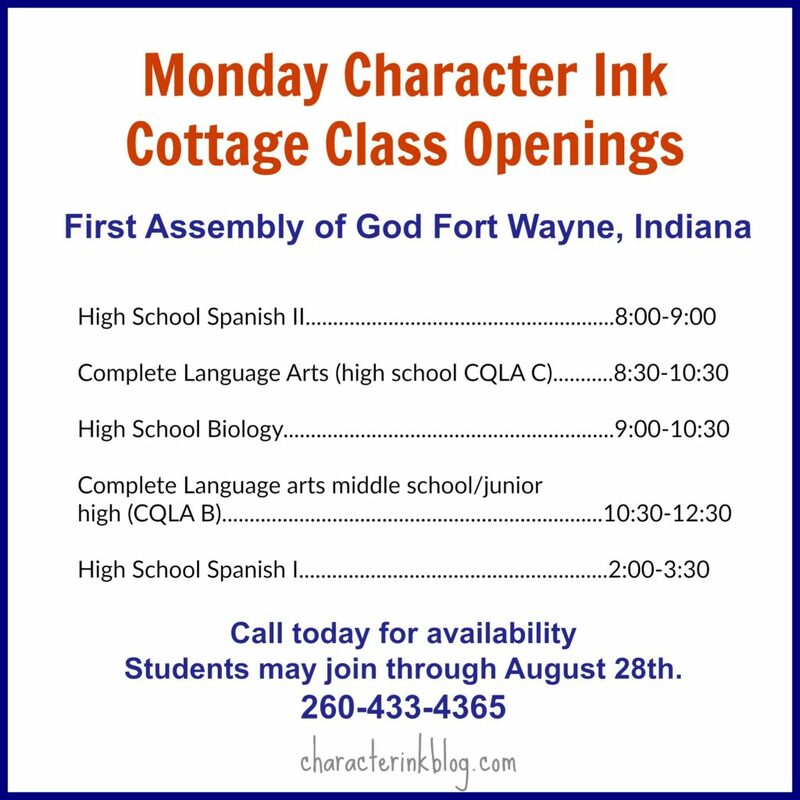 Feeling like you need a little help with your homeschooling this fall? Wishing someone could help you out with science labs, writing instruction, Spanish, or others? 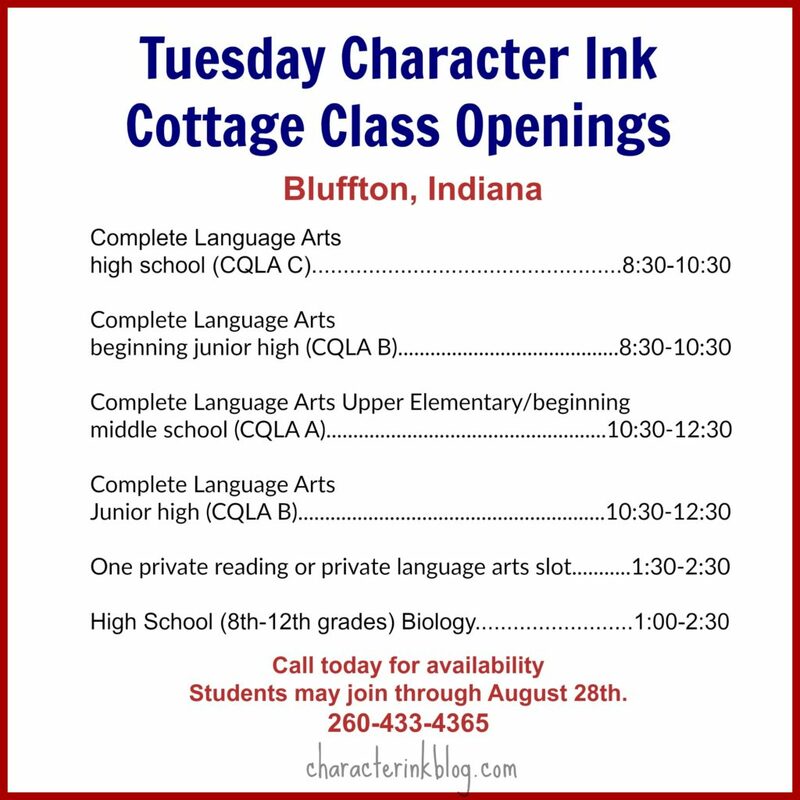 Do you live in the Fort Wayne or Bluffton area? Then you’re in luck! 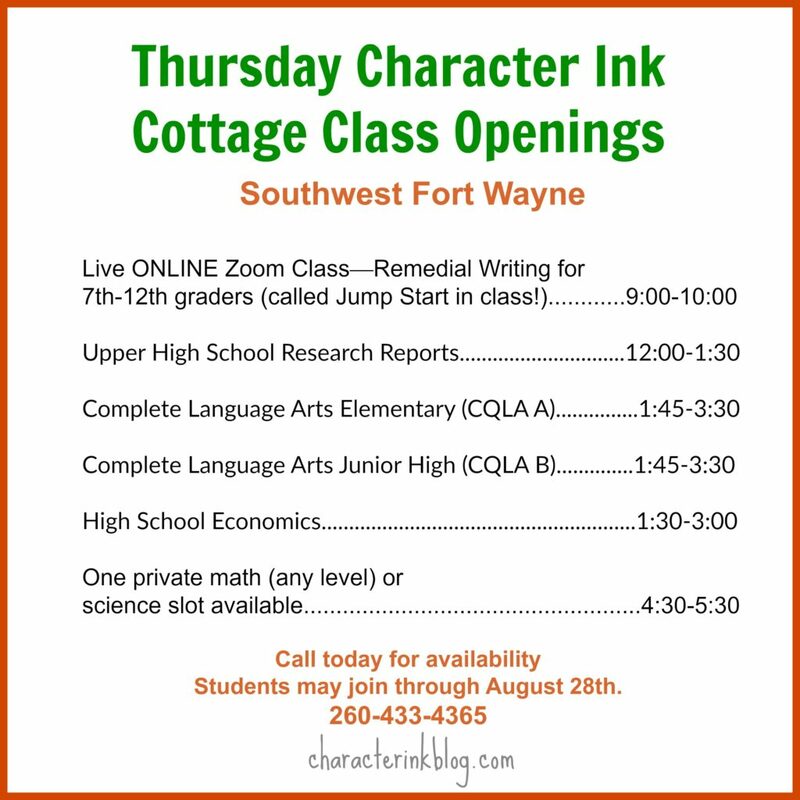 If you live elsewhere and wish someone could help you with writing, your wish is being granted (on Thursday mornings at 9:00!). Check out the openings we still have for this fall. Note that we do have other classes that we might be able to squeeze someone into, but these are the ones that have two or more available spots. Feel free to pass this along to friends and family! We are starting with one Live ONLINE class for fall on Thursday mornings at 9:00 Eastern Time. It will be a remediation class using our new Jump Start book. Outside of this blog post, this class is called Jump Start (not remediation). This class is for students in seventh grade and up who have not learned how to write four paragraphs or more. It focuses on research reports, essays, and stories and will bring a student up one to four grade levels in one semester in their writing. Parents are responsible for grading part of the work in this class. Reports, stories, and essays themselves are turned in via email and graded by Donna. 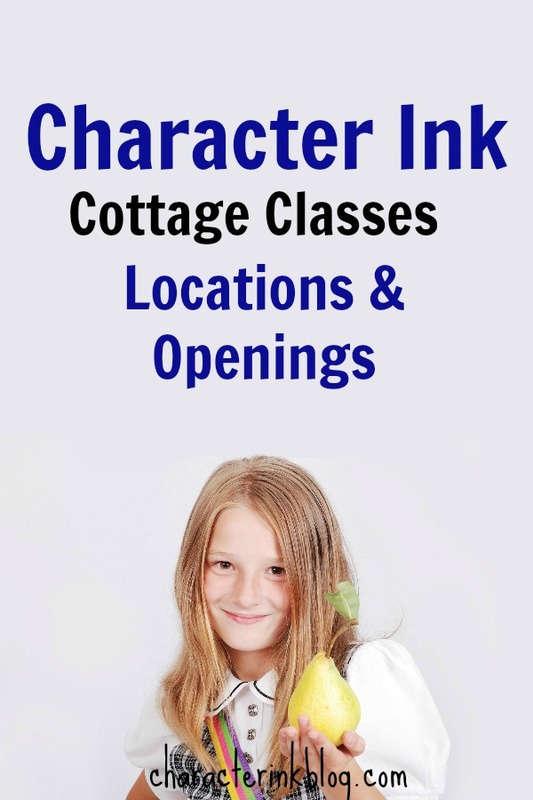 This class is $10 per week per student and a one time book fee of $15. You print your student’s book.